Bengaluru: The Mahalakshmi Layout police cracked a three-month-old murder of a contractor by arresting a man who worked for him as a painter. 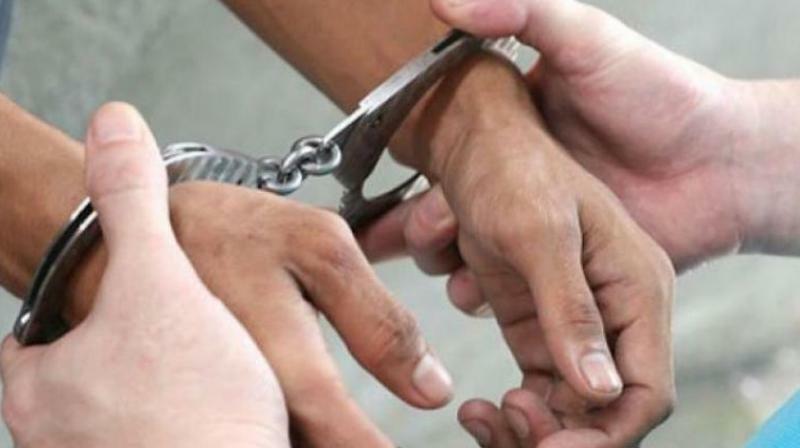 The accused, Manohar Premchand Sharma (33), who hails from Lalganj in Uttar Pradesh, killed his contractor friend Ramesh from Uttar Pradesh with a beer bottle for abusing him, the police said. Ramesh was working at Shringar Interior Decorators in Laggere owned by Lokesh for the last three years. As there were back-to-back painting contracts, he employed four people from his state, including Sharma. All the workers were living in sheds at Kempegowda Layout provided by Lokesh. As there was a three-day Sankranti holiday from January 15, the workers stayed in their sheds and they decided to party on January 15 at Ramesh's shed. At the party, a fight broke out between Ramesh and Sharma over a minor issue and Sharma hit Ramesh with beer bottles repeatedly, killing him on the spot. Sharma and other workers fled the spot after the incident. Lokesh visited the sheds on January 17, but they were closed. He noticed a foul smell coming from Ramesh's shed, and on breaking open the door, found Ramesh dead. He alerted Mahalakshmi Layout police, who initiated a probe. Three months later, the police detained the workers, Gowtham, Krishna, Ramu and Sharma and during the investigation Sharma confessed to the crime.